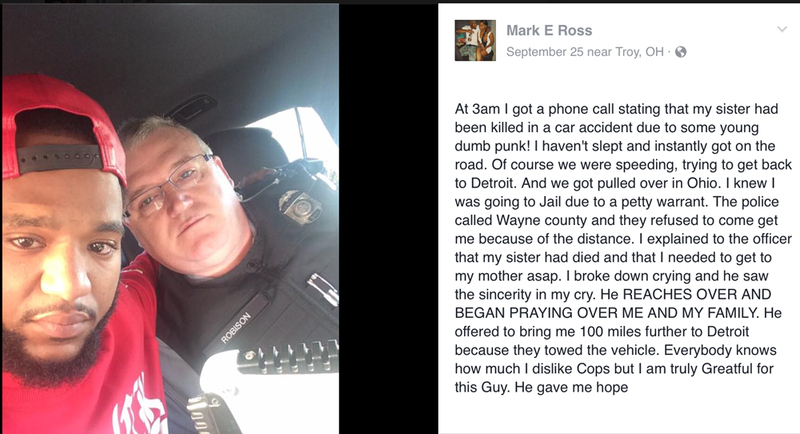 (CBS News) – Mark E Ross explained in a Facebook post that he rushed to be with his mother in the early hours of September 25 after learning his 15-year-old sister had been killed in a car accident. Sergeant David Robison stopped a friend of Ross, who was giving him a lift, for speeding. It was the officer’s reaction to the tragic accident which has won online praise. 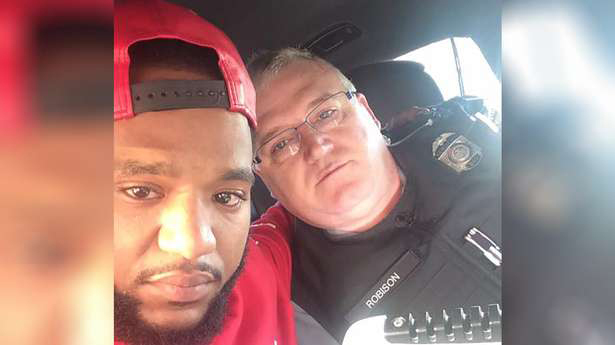 The sergeant began praying with the grieving passenger before offering to drive him 100 miles so he could be with his mother in Detroit after his friend’s car was towed.